"Give Me Your Love: A Journey into Mevlevi Music" is a short (30 min length) documentary film by Pakistani film-maker Nameera Ahmed that explores the role of music, especially the reed-flute, in the lives of the contemporary spiritual followers of the 13th-century Persian Sufi poet-mystic Mevlana Jalaluddin Rumi. This group in Turkey, called the Mevlevi Sufis, is most popularly identified internationally as the "Whirling Dervishes". 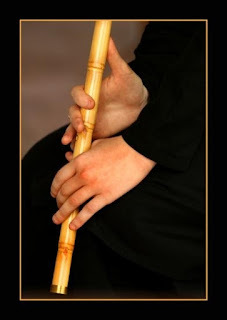 Rumi referred to the making and playing of the reed-flute in his poetry, as a metaphor for the training and subsequent transformation of the human spirit. This poetic symbolism still holds power for the Sufis, who reveal their central connection to the reed-flute in this film where the players are individuals actively engaged in the production, performance and perpetuation of the Mevlevi music tradition. The viewer gets a taste of their world, of their philosophy and beliefs, and their journey of love explored through the "Sema" or "Audition", through the theme of the sublime and the mundane. I found the documentary quite lovely and sweet. The link is provided at the end of this post so that you may also watch it online. A ordinary reed, when separated from its reedbed and prepared becomes tranformed into the musical flute, the Ney. To the effect that the reed, in its marshy bed with water underneath, and birds flying over sways in harmony with the wind. While enjoying such a serene life suddenly one day a person, a flute-player, comes to the reedbed. He looks around for a reed suitable for making into a flute, and from the huge marshland, he cuts a few stalks and separates them from their homeland. 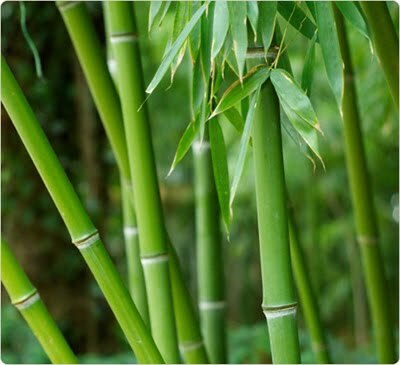 Since it comes from a marshland plant, the reed, when you pour water in it, its cells swell up, and when you blow inside, it gives out a more beautiful sound. Thus, before we play the Ney, we wet it a little so that its pores get clogged, swell up and thereby it lets out more beautiful sounds. However, there is a metaphorical side to it: by wetting it, we remind it of its homeland of the wet, marshy environment where it grew. Thus it laments with the suffering of separation from its homeland, saying, "Ah! my home." From its rescue from the marshland, to its transformation into the Ney, there are several phases. These phases, these periods, just as in Sufism one has to climb the perscribed steps steadily to reach maturity of the Self, so with the opening of the hole in the Ney seven perfections are accomplished. From now on, it is not an ordinary piece of reed. By moving into the hands of a teacher, at the end of that education, we must traverse that path to perfection. This what what the Ney tells us. In the hands of a trainer, the holes are opened steadily so that they can be blown into beautifully. On the bottom and top are attached loops and rings, on the top is attached the mouthpiece, Finally it reaches the perfect stage. My woeful song has caused men and women to weep. For only they understand the pain of this longing. Yearns for the day he will return. I cry with the same lament. None has searched for the secrets within me. "Rumi - In the Arms of the Beloved"
Ney-maker, Ney-player, Ney-teacher, Semazen, Ney-student, Muhibban (friends of the Mevelevi) and Dede (spiritual teachers) are interviewed in the course of this documentary giving valuable insight of this rich tradition of our world. "I had a dream about my reed-flute. I couldn't play for a long time because of my exams. I saw my flute in my dream, it had cracked. Cracks all over, and I was crying. I took my flute and blew into it, and it cracked some more. Cracks all over, and I was crying. I took my flute and blew into it, it cracked some more. The more I blew, the more beautiful it sounded. And I said, 'Thank you God' as it cracked." The film feature a retired army man who became a Ney player and now its teacher, who had come to love the Ney. He shares how one day coming after back from work in the month of Ramadan, he listened to the music of Ney played on the radio and how it started the fire in his heart, in his soul that still goes on and on. "The sound of a Ney took me away from myself transported me to some other place. I mean, it set me on fire, burned me," he says. The heart is the pump which permeates all cells by sending blood to them. The heart takes in this throbbing and this music through the ear. The heart, since it pumps blood to the body, whatever influence it gets from that music, the heart spreads that pleasure to all the cells through the blood. Now, we say, "my hair stood on end." Why? Because that love, when it permeates the cells all the particles of the body stand on end. Music creates such an effect (upon the heart and every cell of our being). In the documentary the symbology and stages of the Sema and whirling of the Mevlana's Whirling Dervishes are explained. I hope you will enjoy the short film and it will help probe into the mysteries of sound and expressions of longing that Sufis express through sacred words and sounds.